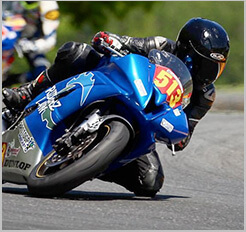 SAN DIEGO: Our motorcycle accident lawyers in San Diego have a tragic accident to report from last week. Last Saturday, a 53-year-old man, Rogelio Malihan, was killed while riding his motorcycle on state Route 79, just east of Julian. According to San Diego authorities, the motorcyclist was ejected from his bike and then struck by another motorcycle traveling the opposite direction. According to authorities, Mr. Maliihan was riding on the southbound lane with his son and a friend on another motorcycle, when the lead motorcycle slowed down due to traffic. Mr. Malihan slammed on his brakes and was thrown into the northbound lane and an oncoming motorcycle. The northbound motorcycle attempted to avoid Mr. Malihan but failed, striking him and causing severe injuries. Mr. Malihan died at the scene. Our thoughts and prayers go out to Mr. Malihan and his family. Unfortunately, the San Diego motorcycle accident attorneys here at Riderz Law see tragic accidents like this every day. Motorcycle riders must be extremely cautious and aware of their surroundings, including rapid slow-downs on streets and highways. What might only result in a minor accident for a driver in a car can be extremely dangerous–and often deadly–for a motorcycle rider. Ride smart and ride safe.